Technology and comfort come together to manufacture this innovative mattress! 1st layer * 7cm of viscoelastic with micro-particles of thermo-variable gel, which increase the sensation of freshness, being 200% more breathable because of its particular open cell structure. Manufactured with water base and vegetable polyols. 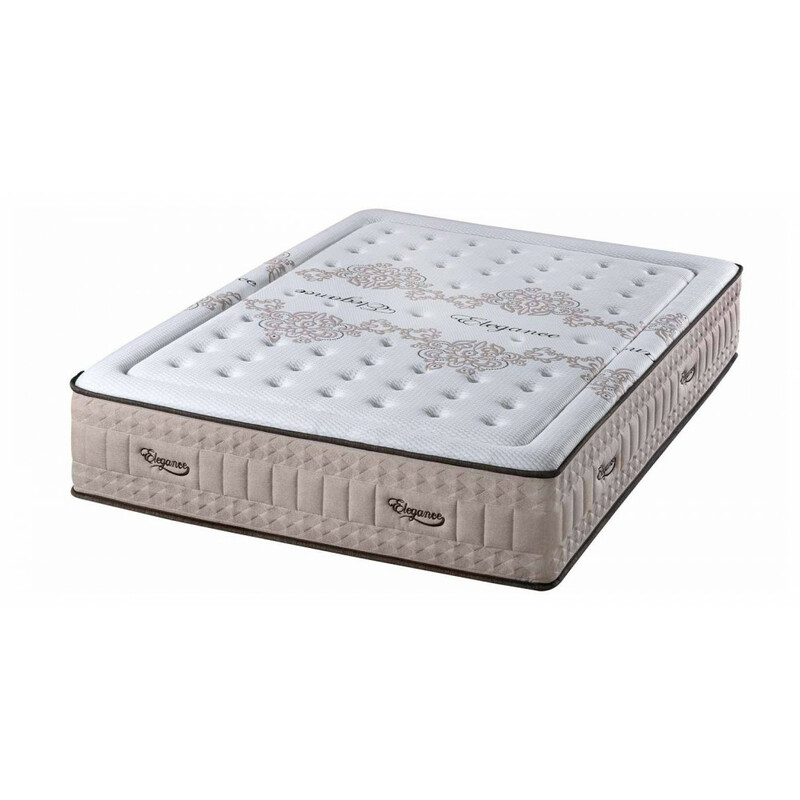 When these mattresses are placed in a cool environment, the gels temperature drops, helping to maintain the temperature of the neighbouring materials allowing you cool, fresh comfortable sleep. 2nd layer * Oxigem® Density and softness provide a high degree of comfort guaranteed. Properties of Oxigem ®: Stability, light, odorless, fexible, ergonomic. 3rd layer * HD (HighDensity) Reflex Foam that acts as a solid under support. This material is beneficial to allergy sufferers because it does not accumulate dust. HR means high resilience (HD = High Density) so if there are two people of different weights sleeping on the mattress and one person is moving, they are not disturbing the other. WINTER FACE > Linen fabric cover-cap padding with 4 cm Viscoelastic Sensus ® & Soybean extracts, thermovariable and breathable. Soya has also proven to be beneficial as it is a natural anti bacterial and it eliminates odours. SUMMER FACE > 3D Space fabric that facilitates perspiration and ventilation, padded with hypoallergenic fiber. Most conventional mattresses have circular breathing valves on the side to allow air in and out helping the mattress to breath. The design of the new 3D air fresh filter however, increases more air to pass through the mattress without allowing dust inside. This design is extremely beneficial for mattresses on boats or close to the coast because it greatly reduces humidity inside the mattress. "Cool Gel, Memory Foam & Soyabean!"